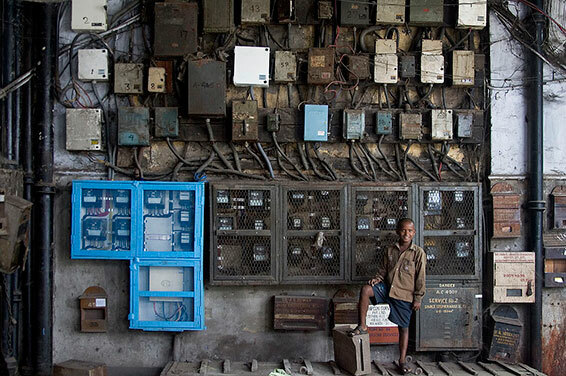 ANN ARBOR—About a third of India’s electricity is lost each year. It just never gets billed. Some is stolen or disappears because of technical problems. It’s enough power to light up all of Italy for a year. The problem gets especially bad during elections when electricity is used to win votes, a new University of Michigan study shows. The research focused on state elections in Uttar Pradesh—the country’s largest state—and found that power losses increased by three percentage points just before the polls. The study highlights two big challenges in the world’s most populous democracy: rampant corruption and wobbly infrastructure. Both are frequently blamed for the recent slowdown in India’s economy—a major issue in the general elections that wrap up May 12. Min said the study shows that incumbent candidates are more likely to win re-election in areas where power losses are allowed to increase. “Political factors affect line losses in ways that technical and economic factors alone cannot explain,” said Min, who analyzed data from the 2002 and 2007 elections in Uttar Pradesh. Min said that because power companies such as Uttar Pradesh Power Corporation Ltd. are state-owned, they are beholden to the interests of elected officials. In Uttar Pradesh, 29 percent of all power sent out from 1970 to 2010 was unbilled. Moreover, rates of line loss in Uttar Pradesh are higher today than they were in the 1970s, despite numerous policy interventions, regulatory reforms and increased efforts to prosecute power theft. Line losses were highest in western Uttar Pradesh, home to strong political families. In the Hathras and Mainpuri districts, 50 percent of the power is being lost or not billed. In contrast, the lowest line loss was in Gautam Buddha Nagar at 13.6 percent, which includes Noida, a commercial area with many multinational company offices. According to the study, the immediate need to win votes overlooks the systematic challenges that take money and time to solve. Rural areas don’t have meters and usually pay a flat rate for electricity. The study suggests that meters should be used in the countryside because that might reduce the partisan manipulation of the energy sector. Before elections, many villages are limited to 12 hours of electricity per day. But during the vote, the supply goes up to 18 hours or more without any change in revenue.